Oxford Street, London, 1909. Then one year before. 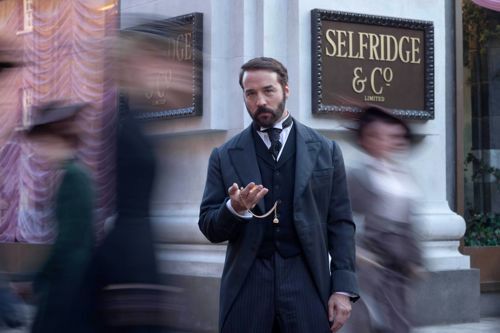 Mr Selfridge opens its doors for business on ITV1 at 9pm on Sunday (January 6). The beginning of a 10-part series with plenty of drama, romance and sheer fun in store. American actor Jeremy Piven plays the lead role of Harry Gordon Selfridge, the flamboyant Chicago visionary who invented modern shopping. Fans of his Golden Globe and Emmy-award winning performance as Ari Gold in Entourage will be familiar with Jeremy’s extraordinary talent and energy. Displayed in every department of this new series together with a strong ensemble cast. Including former Coronation Street actress Katherine Kelly as society hostess Lady Mae. Those of us who have seen her in other roles – including the acclaimed She Stoops To Conquer at London’s National Theatre – already know there is far more to Katherine than Weatherfield’s Becky McDonald. And she all but steals every Mr Selfridge scene she is in. As does Aisling Loftus as young Agnes Towler. 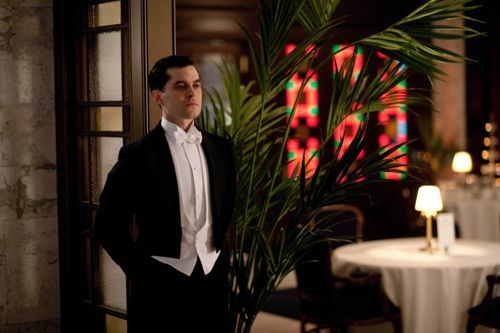 Created by the masterful Andrew Davies, Mr Selfridge has more pizzazz than any drama could wish for in 2013. I visited the incredible Selfridges interior set in north London last summer. Now that the embargo has expired, you can read my interviews with cast members Jeremy Piven, Katherine Kelly, Frances O’Connor, Aisling Loftus, Zoe Tapper, Amanda Abbington, Gregory Fitoussi, Samuel West, Nick Moran plus executive producer Kate Lewis in the ITV Production Notes / Press Pack – click on the link below to open the PDF document. I also had the privilege of hosting the on-stage Q&A at BAFTA in London after the September 2012 premiere screening of the first 90-minute episode. That involved Andrew Davies, Kate Lewis, Jeremy Piven, Katherine Kelly, Amanda Abbington, Zoe Tapper and Aisling Loftus. There has been a lot of nonsense written about Mr Selfridge versus BBC1’s The Paradise. 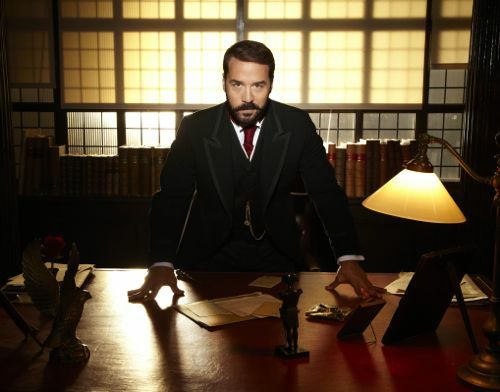 Even though the series was ready to screen, ITV decided to wait until the New Year of 2013 to broadcast Mr Selfridge. So as not to clash with The Paradise, which the BBC had brought forward in their own schedules. My advice is to watch Mr Selfridge and make your own mind up. This is one Sunday night treat you do not want to miss. Screened in America on PBS Masterpiece Classic from Sunday March 31. 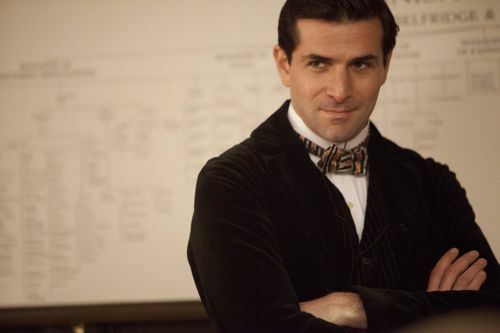 Also scroll down to see a selection of cast photos plus Mr Selfridge links. Zoe Tapper as Ellen Love. Frances O’Connor as Mrs (Rose) Selfridge. 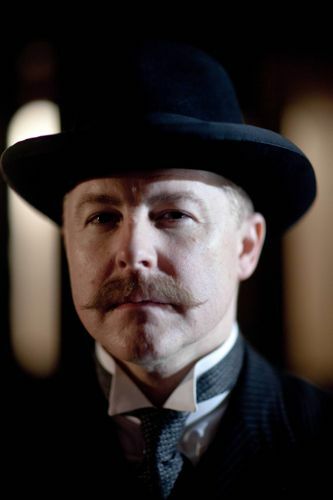 Samuel West as Frank Edwards. The queue for a job at Selfridges. Posted in News and tagged Aisling Loftus, Amanda Abbington, Amy Beth hayes, Andrew Davies, Chrissy Skins, Frances O'Connor, Gregory Fitoussi, Harry Selfridge, ITV Drama, ITV1, Jeremy Piven, Kate Lewis, Katherine Kelly, Lauren Crace, Mr Selfridge, Nick Moran, PBS, PBS Masterpiece Classic, Pippa Haywood, Ron Cook, Rose Selfridge, Sam West, Samuel West, Selfridge's, Tom Goodman-Hill, Trystan Gravelle, Zoe Tapper. Bookmark the permalink.